Brian McClernan started in 1993 as a corporate investigator, where he honed his skills and developed an eye for investigations. In 2004, he became an insurance fraud investigator, working with some of the countries top insurers. Working both domestic and infidelity investigations, he started his path to Maverick Process Service & Investigations, LLC. Sharon came to Maverick upon its inception. Her critical thinking and eye for details made her not only an asset to Maverick Process Service & Investigations LLC, but a driving force in our success. 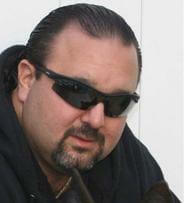 Steven Makres is an investigator with Maverick and an expert in safety, security, and surveillance. 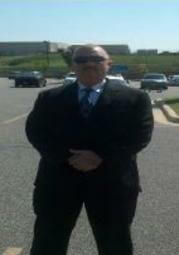 He is presently the principal of Titan Security & Surveillance LLC. Over the past twenty years, Steven has gained tremendous experience and expertise in all aspects of the design, installation, and commissioning operating and maintaining systems pertaining to security and surveillance. He is versed in SIU (recorded statements, scene investigations, and accident investigations) and is certified in Wicklander - Zulawski interrogation techniques. Process Service: Reliable and accurate service of process for all your legal documents. Our agents use ServeManager, a software that tracks GPS position of process service. Notary Service: Authorization of signatures on legal documents as an agent of the state. Certify signatures on your legal documents so contracts are upheld. Skip Trace: Locating and individual in order to conduct service of process. Investigations: Domestic, infidelity, child custody, asset checks, criminal history reports, vehicle/tag searches, vehicle sightings report, surveillance, and others. Witness Interviews and Statements: Collecting and recording witness statements pertaining to investigations. Scene Investigations Scene of the accident, slip and falls, and other location based investigations. GPS Tracker Rentals High quality GPS Trackers available for your use when legally permissible. Complete with training to fully understand any legal restrictions. Maverick Process Service & Investigations LLC is comprised of a team dedicated to getting to the bottom of all our clients' cases and serving their papers with the precision their case requires. We have over 16 years of experience in SIU-(Special Investigations Unit) that give our services an edge. Two of our investigators are certified in the Wicklander - Zulawski method of interrogations, providing unparalleled legal experience. We are registered with the Maryland State Police Private Detective Agency, number: 106-4775. For your peace of mind, ensure your private investigation agency is registered and licensed. Our service of process is supported by our robust legal and investigative experience, making process service in Maryland a breeze. Maverick Process Service & Investigations has the knowledge, experience, and tools for effective investigations and service of process. Give us a call to get started! As a busy litigator with a small private practice in Baltimore County, I have been extremely pleased with the "get-it-served" attitude -- and, more importantly, results -- that I have obtained from using Maverick Process Service to serve legal papers in both state and federal lawsuits. Our firm has used Maverick Process Service for a little over six months. The service is outstanding and the costs are beyond reasonable. I would recommend Maverick Process Service to law firms seeking legal processing. Maverick Process Service & Investigations, LLC is value added to my litigation practice for many reasons. In addition to being able to quickly serve my defendants, MPS has provided recon services that have enabled my clients to make informed decisions as to whether certain courses of action should be taken in cases. Additionally, I find their rates very reasonable. 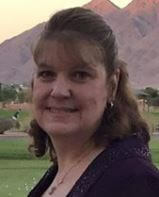 I am an office manager for a Finksburg Law Firm and I recommend Maverick Process Service to everyone. They are outstanding and top notch. I have used various other process servers and this company has gained our commitment and trust. 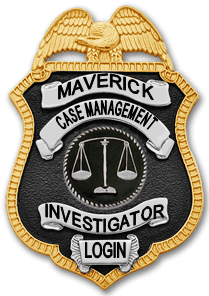 I have sent over many hard to find cases and Maverick Process Service has found every one of them. Previous servers have been unsuccessful. I rate them 5 PLUS STARS!! We are very happy and use only the BEST!! Our experience with Maverick Process Service has been very successful and they are wonderful to deal with. We have been using Maverick Process Service for about a year now and have been extremely pleased. Their prices are reasonable, and I can trust that no matter what obstacles may present themselves, Maverick can handle any situation and will get the job done efficiently. They also keep us well informed of developments as they arise. I would highly recommend Maverick Process Service & Investigations, LLC to anyone in need of such services. Maverick has consistently exceeded my expectations with their prompt service time and exceptional customer service. © Copyright Maverick Process Service & Investigations LLC. All rights reserved.